I have a pet swan; his name is Arthur the Arthritic on account of a gammy leg. He is of indeterminate age, though clearly getting on a bit and lives on the lake here at Nether Wallop Mill. I must admit I never set out to have a swan for a pet – they are not the friendliest of creatures and are, in truth, a bit messy. That said we have reached a sort of amiable compromise over the past four or five years. His daily routine mainly involves paddling around the lake, rear end in the air and head underwater whilst he eats away at the pond weed. For this he has my eternal thanks; he is my 24 hour a day feathered river keeper who requires no more payment than a chance to gobble his share of the fish pellets. You might wonder if he is a nuisance to the fishing. Well, not really. Our accommodation is so complete that at the sight of fishermen he hauls himself from the lake to spend the day in the mill pond, returning again when all is quiet. For years he has been a confirmed bachelor, the sole guardian of the lake since his mate died some while ago. In the intervening time other pairs have dropped in from the sky, but after a fierce turf war left Arthur all to his lonesome. That is until last Saturday when I woke to the unmistakable sound of swans in flight, the whooping wings alerting Arthur to inbound strangers. As is his wont he positioned himself in the middle of the lake, arching his body skyward, aggressively flapping his wings as the pair circled ever lower. Happier Times? Now swans in a straight line, high in the skies are graceful birds but a low speed, with sharp turns to make they are anything but and as one of the pair took aim for landing she entirely misjudged the landscape hitting the chimney of the fishing cabin, tumbling down the roof into the trees behind. For the other swan clearly out of sight was out of mind so after a few desultory minutes circling the lake he disappeared into the distance. I was firmly convinced, such was the thump, that the swan had died on impact but a little while later this slightly dazed and wobbly bird came out from behind the cabin slipping gently onto the lake to join Arthur. His joy was unconfined. He preened and pivoted as the two became a pair within minutes. 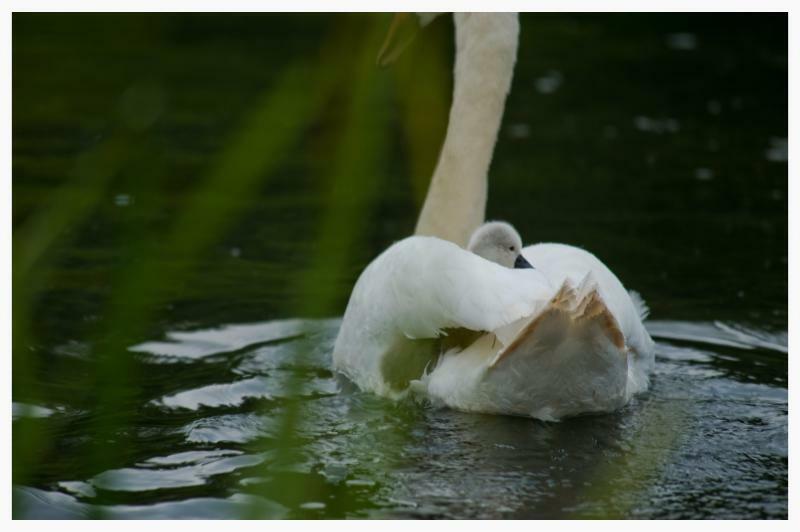 By the afternoon they were together on the bank, tearing rough grass from the fringe, a sort of nesting thing swans do. By dusk they had settled down to roost together for the night. I could hear the distant pitter patter of little cygnet feet. But by morning it had all gone woefully wrong. Whilst Arthur, clearly agitated, pushed himself around the lake, the female stood on the bank, twitching her head this way and that. Occasionally he’d make a pass to bring himself as close to her as he could without leaving the water, but she’d edge ever further away until her mind made up, she ran at the lake flapping her wings and paddling her feet on the water until she took flight to never be seen again. Since then I haven’t seen much of Arthur as he’s forsaken the lake to sulk on the mill pond, even forgoing his daily pellet ration. It is hard to work out what could have gone wrong in those few hours of darkness. In the bird kingdom what on earth is the ultimate dating crime? Was he too old? Or maybe swans truly do mate for life and she felt impelled to find her erstwhile mate. Frankly if I was her I wouldn’t have bothered; he was quick enough to say adieu when she thumped the chimney but then again even in the animal kingdom it is doubtful that the course of true love ever ran smooth. Unless my memory serves me wrong I am pretty certain that two decades ago sea bass on a menu would have been a rarity. Maybe it was common enough in top end sea food restaurants, but on a pub menu, well hardly ever. Today it is very different and sea bass are paying a price for their popularity; the breeding population around our coast has dropped from 16,000 tonnes in 2010 to 7,000 today. This has not gone unnoticed. ICES, the International Council for the Exploration of the Seas, flagged this up during the summer and the EU acted yesterday with a complete ban on all sea bass fishing January to June, with severe restrictions for the remainder of the year. For the day trawler fleet, that is boats under 10m, this is a body blow. Behind sole,sea bass is the most valuable catch. 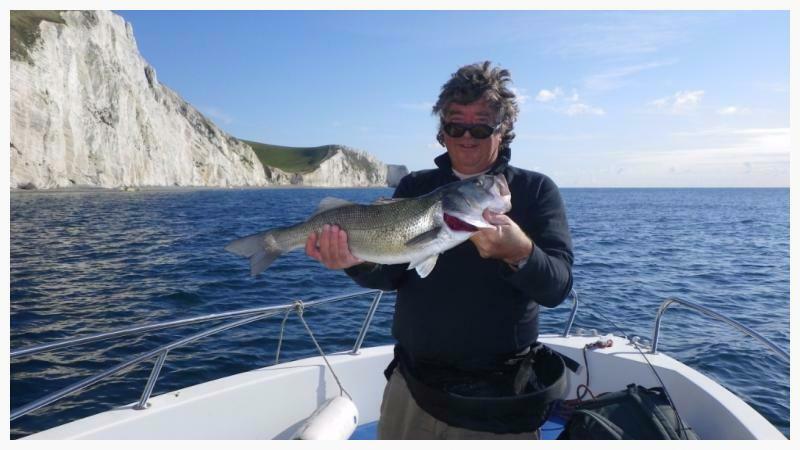 For the line fishermen who specialise in sea bass out of ports like Weymouth, it is crippling. But this is not just a commercial decision; we 300,000 recreational anglers are included with a complete ban for the first six months of the year and a limit of one fish a day for the remainder of the year. Quite how it is going to affect the saltwater fly fishing guides I do not know. Will we be able to catch and release, or will even the intention to fish for bass be illegal? In truth it is going to be impossible to police but nobody wants to wilfully break the law with a livelihood at stake. In part I can understand bureaucratic even-handedness when it comes to applying a ban equally to both commercial and recreational anglers but is it really necessary? I suspect fly fishermen and beach casters are a pinprick on the sea bass population. It is time for a rapid rethink from Brussels. The usual random selection of questions to confound and amaze. Answers at the bottom of the Newsletter. It is just for fun! 1) Other than Great Britain itself which is the largest island in the UK? 2) It is Prince Charles’ birthday this week. How old will he be? 3) What is a dynast? Two winners this month as we wrap up another trout season; thank you to you all who contributed replies, which are an invaluable insight to every day on the river. 2015 will be the year the dog didn’t bark in that we almost had a drought but nobody talked about it. Certainly the water companies, scared of egg on their faces so soon after the floods, didn’t say a word but the winter, spring and autumn have been exceptionally dry, especially the last two months with rainfall only half the normal average. I guess our memories are coloured by a very wet May (157% average rainfall) and August which was the wettest on record. If you want to check out the full statistics for southern England follow this link to the Met Office web site. All that said the chalkstreams held up well, though they were certainly starting to look thin as the season drew to an end. Generally I thought hatches were good in every month. The Grannom has made a comeback as the April fly of choice, the Mayfly was a good as any year though the wetness of May itself seemed to stop and start the hatch from day to day. Sedges continue to be prolific and the back end has seen huge clouds of tiny olives daily. The feedback showed remarkably consistent fishing across the season; no sudden decline after the Mayfly and only a few dog days in high summer. If I had to pick out one theme it was the lack of consistently rising fish. I think as Guides it is fair to say we read the water more, pick the best seasonal fly and encourage more speculative casting. Poor old Mr. Halford, who thought such a tactic was a crime, must be spinning in his grave. Anyway enough of the past: well done to Graham Dunn who picks up the October draw prize of a signed copy of Life of a Chalkstream having fished at Avon Springs. Philip Watkins, who took his children on Fish Camp to the River Dun in July, collects the Hardy Cascapedia reel in the annual draw. Have a good weekend; I certainly will if Storm Abigail brings a dump of rain. 3) A member of a powerful family, especially a hereditary ruler.